Christmas, Cool Cats, Funny Steins, and more. Secure Shopping. Shipping only within the US. 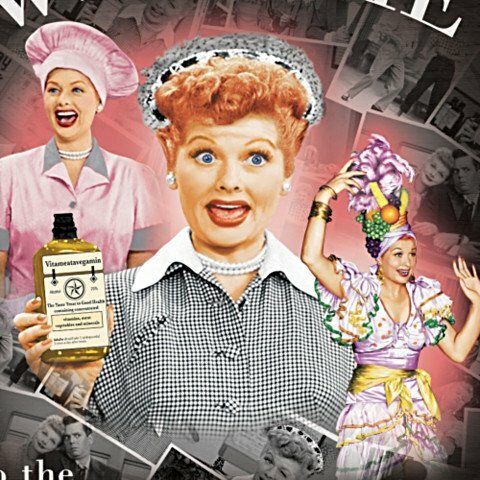 For generations, fans have loved Lucille Ball's side-splitting comedy on her groundbreaking I LOVE LUCYâ„¢ TV show. Now, you can bring her nostalgic television humor right to your door with first-of-its-kind I LOVE LUCY Personalized Welcome Sign, showcasing fabulous montage artwork from the TV series, exclusively from The Bradford Exchange. Personalized with a name of your choice, this custom-made I LOVE LUCY wooden welcome sign adds some star-quality good looks to a door, wall, or anywhere you want to add a smile.Expertly handcrafted by master artisans, this officially-licensed I LOVE LUCY personalized welcome sign is American made, just like Lucy's comedy. It features memorable full-color scenes of Lucy selling Vitameatavegaminâ„¢, working at the chocolate factory and scheming to get a part in the show. Bordered in vibrant white, with an attractive beveled edge, this personalized welcome sign will let you fall in love with Lucy all over again. Strong demand is expected, so don't wait to secure yours. Order now! Precious MomentsÂ® creator Sam Butcher has been delighting us with his classic figurines for over 35 years. Now he turns to another classic for his latest inspiration, the first-ever I LOVE LUCY Precious Moments Together We Can Handle Anything Figurine. Inspired by Lucy and Ethel's unforgettable onscreen friendship, this heartwarming limited edition is available ONLY from The Hamilton Collection.This one-of-a-kind Precious Moments figurine recalls the memorable I LOVE LUCY candy factory scene starring Lucy and Ethel, painstakingly recreated by Master Artisans. From Lucy's famous "pearls" to each gal's big teardrop-shaped eyes, every detail is sculpted and painted by hand. Sparkles of glitter and silvery metallic throughout make this figurine extra eye-catching. A wonderful celebration of the love and loyalty of best friends, peak demand is expected for this Precious Moments figurine. So "Speed it up a little" - order now! Precious MomentsÂ® and I LOVE LUCY unite in a heartwarming celebration of what it means to be best friends in this first-ever Precious Moments I LOVE LUCY: Now And Forever Figurine Collection, exclusively from The Hamilton Collection. Starring Sam Butcher's classic character as Lucy and friends, the collection begins with Issue One, Together We Can Handle Anything. 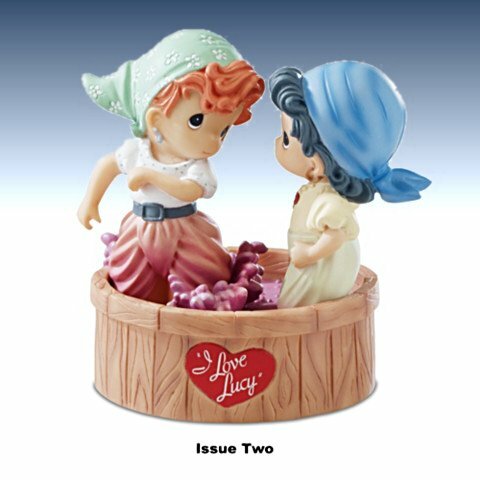 Soon Issue Two, Good Taste And A Friend Are Always An Asset will be on its way to you, followed by Issue Three, Vitameatavegamin To A Great Friendship, and additional Precious Moments I LOVE LUCY figurines, each a separate issue to follow. Available ONLY from The Hamilton Collection, each of the Precious Moments figurines in this collection recreates an unforgettable onscreen moment with Lucy. The figurines are hand-sculpted by Master Artisans, and then painted by hand to bring each classic I LOVE LUCY scene to life in wonderful detail. From the Lucy and Ethel's memorable onstage "Friendship" duet to their one-of-a-kind Parisian gowns (secretly designed by Ricky and Fred), this limited-edition collection is an I LOVE LUCY fan's - and Precious Moments collector's - dream come true! Peak demand is expected, so order now! Just hearing the word "comic strip" is likely to bring images of Charlie Brown, Snoopy, and the rest of the PEANUTS gang to mind. For over 60 years, Charles M. Schulz's beloved characters have brought smiles to fans in 75 countries around the world. Now, wear The Ultimate PEANUTSÂ® Charm Bracelet and join in a dazzling celebration of one of the most popular comic strips of all time. A fine jewelry design exclusively from The Bradford Exchange, this first-ever collector's edition is the perfect way to keep the joy and memories of PEANUTS close at hand wherever you go, whatever you do. The 30 individually handcrafted, fully sculpted PEANUTS charms of this women's bracelet celebrate all the memorable characters from the original comic strips, including Charlie Brown, Snoopy, Woodstock, Lucy, Schroeder, Linus, Pigpen, Marcie, Franklin and more. Each is captured in delightful detail with rich hand-enameling. All the charms move freely and are interchangeable on the beautiful sterling silver-plated bracelet. Strong demand is expected for this spectacular PEANUTS charm bracelet, so don't wait. Order now!